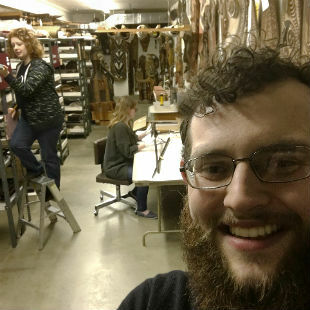 Joshua Cannon is currently interning with the SIU Carbondale Museum Storage Facility. As part of a team working on inventory and item preservation within the museum's expansive (and ever-growing) special collections archives, Joshua's projects have included working with local art and a costume collection from the famed opera performer Marjorie Lawrence. 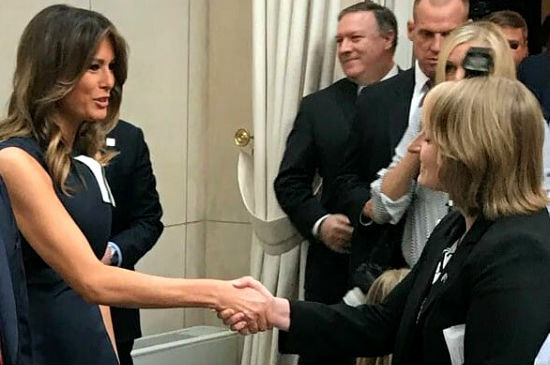 Emily Buice, a senior majoring in History and Public Relations, spent the past summer as the Public Diplomacy Intern for the U.S. Mission to the E.U. in Brussels, Belgium. One of her main projects for the summer was researching the history of the Trans-Atlantic partnership and finding documentation of key moments for the Mission's annual July 4th celebration video. Her work was shown throughout the event to over 400 guests. Meanwhile, Brussels also afforded Emily the experience of assisting with the Presidential visit to NATO. She helped organize a photo opportunity for the Tri-Mission community and worked in the Press Filing Center during the visit. On top of all this, she planned several events — including breakfast briefings for E.U. stagiers and her fellow Tri-Mission interns — while helping to coordinate additional briefings for visiting U.S. student groups. Students interested in practical work in museums, historical agencies, or other appropriate venues may sign up for history credit for their work. For information about possible internships, students should contact Dr. Joseph Sramek, sramek@siu.edu, phone: 618/536-2233.